Huawei Mate 20 and Mate 20 Pro Display Panel Images Leaked - Playfuldroid! 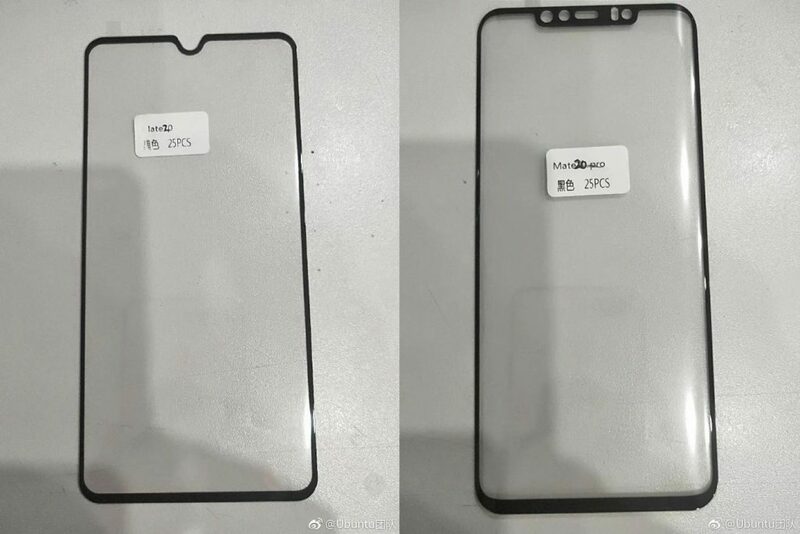 Huawei Mate 20 and Mate 20 Pro display panels have leaked on Weibo. As recent rumors have revealed, the new images have also revealed that both phones will be sporting slightly different display designs. The Mate 20 image shows that it will be sporting a small notched display whereas the Mate 20 Pro will be featuring a wider notch. The display design of the Huawei Mate 20 appears quite similar to the Honor 8X and 8X Max smartphones that are fitted waterdrop notched displays. The UAProf of the phone that was spotted recently have revealed that it will be carry support for Full HD+ resolution of 2244 x 1080 pixels with an aspect ratio of 19.5:9. The Mate 20 leaks have suggested that it will be equipped with a rear-mounted fingerprint reader. Hence, there is a possibility that the company may settle for LCD panel for the Mate 20 phone. Rumors have it that it could be equipped with a 6.3-inch display. The wider notch on the Mate 20 Pro suggests that it could be equipped with 3D structured light module that will allow it to support advanced 3D facial scanning. Also, the rumor mill has revealed that the Mate 20 Pro will be arriving with an AMOLED display of 6.9 inches that will be equipped an under-screen fingerprint reader. The UAProf of Mate 20 Pro suggests that it will carry support for 1440 x 3120 pixels along with an aspect ratio of 18.7:9.